No matter how the Church tries to spin their agenda, it’s never going to be okay with many Mormons and non-Mormons at that. The racist history of Mormonism will forever be a stain upon their cloak until they repent, publicly apologize and rewrite their holy writ. The article in USA Today was one of the most well written articles on this subject I’ve read in a long time. It was precise and to the point on how the Church has grappled with the race issue before and since 1978, when they finally allowed blacks into the priesthood. I found one of the comments by Mitt Romney to be very interesting and something I hadn’t looked into before, giving me pause to think upon other Mormon reactions to the prophecy by Kimball in ’78. 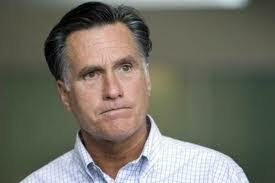 Mr. Romney said he cried on the day the blacks were accepted into the priesthood. Everyone who knows my testimony has read that I cried too. I cried because I was afraid of this Mormon god I had been born and raised to believe in. I was fourteen years old on that Saturday when I read the headlines in the Ogden Standard Examiner announcing the prophet’s revelation. I cried because I knew straightaway I’d never be able to trust this god. What I had done overnight to procure His acceptance for me? My skin color hadn’t changed, my black frizzy hair and dark eyes were the same as the day before, and no one came knocking on my door to tell me they were wrong, thus, I had sided with Jesus in the pre-existence. Instead, I was taught the following Sunday that indeed, I had sided with Satan or maybe I had remained neutral, no one could be sure. So while blacks were now acceptable to the Mormon god, they were also still a representative of Satan on earth. Mormon Doctrine, pg. 527; “Those who were less valiant in pre-existence and who thereby had certain spiritual restrictions imposed upon them during mortality are known to us as the negroes. Such spirits are sent to earth through the lineage of Cain, the mark put upon him for his rebellion against God and his murder of Abel being a black sin. (Moses 5:16-41; 7:8; 12,22)”. Here at Life After Ministries and other ministries across the globe, we pray the people of Mormonism come to know the truth about this church. We pray God opens their eyes to the dangers of these heretical teachings and turn to God before it’s too late. He loves them just as He does all of His creation, of this I am sure. So no matter what struggles Mr. Romney may have in answering questions about his faith, the truth remains the same. Mormonism was built upon many things, but one of those heretical lies is that God cursed Cain with a black skin to be a representative of Satan.